Published by Cyril Huze May 20th, 2016	in Builders and Editorial. 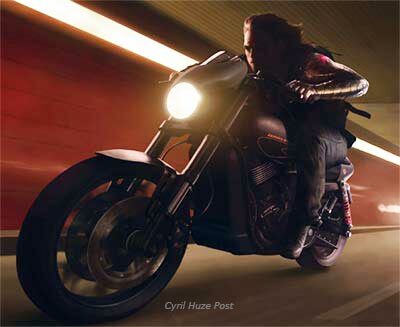 Harley-Davidson has long been by Captain America’s side in his stand for freedom, and the latest chapter of the hero’s epic saga showcases a strong pulse of torque with “Team Captain America” member –Winter Soldier riding a one-of-a-kind Harley-Davidson Street 750 customized for the film, and Team Iron Man member Black Widow riding a Sportster Iron 883. “Harley is proud to continue to join forces with Marvel with two bold, powerful and rebellious motorcycles – The Street 750 and all-new Iron 883 featured in ‘Captain America: Civil War,'” said Dino Bernacchi, Harley-Davidson U.S. Marketing Director. Captain America, how could you sell out like this with the product placement? I guess from now on we should just call you “Captain Capitalism”. a 750???? Seriously, what would Karen Black say? the “rebelious” 750 street (HA!) is such a weakling and they put winter soldier on it, lame . Saw the movie & they did H-D proud !!! Also, they also made, both of them, look much more powerful & faster than they really are !! Creative license, I guess ?? ?